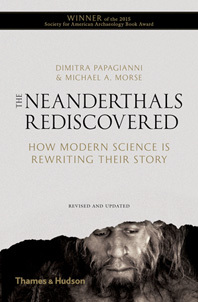 When and how did the brains of our hominin ancestors become human minds? 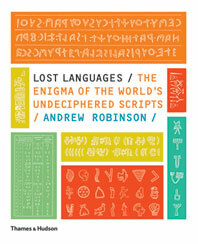 When and why did our capacity for language, art, music and dance evolve? 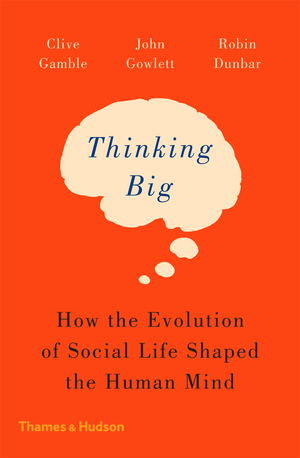 This pathbreaking book proposes that it was the need for early humans to live in ever-larger social groups over greater distances—the ability to “think big”—that drove the enlargement of the human brain and the development of the human mind. 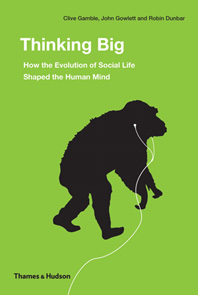 This social brain hypothesis, put forward by evolutionary psychologists such as Robin Dunbar, can be tested against archaeological and fossil evidence. The conclusions here—the fruits of over seven years of research—build on the insight that modern humans live in effective social groups of about 150 (so-called “Dunbar’s number”), some three times the size of those of apes and our early ancestors. We live in a world dominated by social networking. Yet our virtual contact lists, whether on Facebook or Twitter, are on average no bigger than Dunbar’s number. 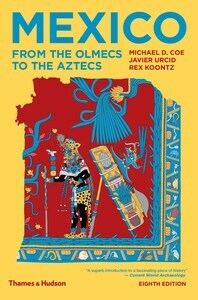 Clive Gamble is Professor of Archaeology at the University of Southampton. 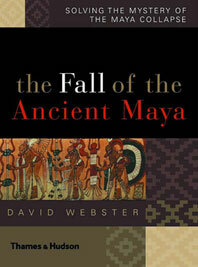 His publications include Origins and Revolutions: Human Identity in Earliest Prehistory (2007) and Archaeology: The Basics (2007). 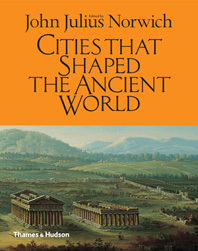 John Gowlett is Professor of Archaeology at Liverpool University. He has published numerous articles and contributions within edited volumes. Robin Dunbar is head of the Social and Evolutionary Neuroscience Research Group at the University of Oxford. He has published numerous books including Grooming Gossip and the Evolution of Language (2004), The Human Story (2005), How Many Friends Does One Person Need? : Dunbar’s Number and Other Evolutionary Quirks (2011), The Science of Love (2012) and The Science of Love and Betrayal (2013).